OLD PARKED CARS. : 1969 Chevrolet Corvair Four-Door Hardtop. 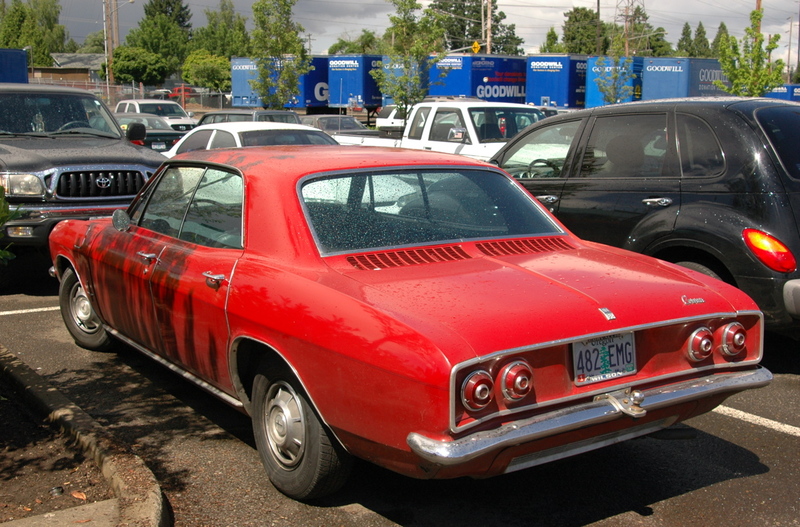 1969 Chevrolet Corvair Four-Door Hardtop. driven daily, even in the rain! Cool! Love the curved panel at the back on these later ones. And the forward slanted front. Only bad thing about it are those chrome door bumpr things. I hate those. They look terrible. Other than that, great find! We owned 2. My father and I were on the highway when it dropped the engine. Reinforce that puppy before taking it up to speed. Funny thing. They were both this color. That side profile shot is great, love it. 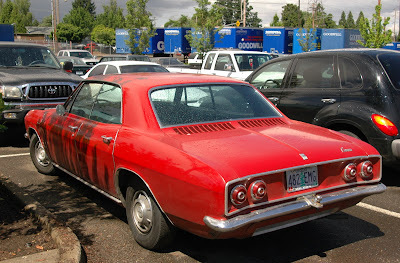 The poor maligned Corvair. I know a lot of people who love these cars. Most of them (around here) are stashed away in garages. Nice set Tony. 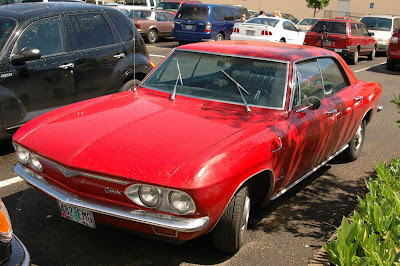 Just FYI...this has to be a 65-67 Corvair. 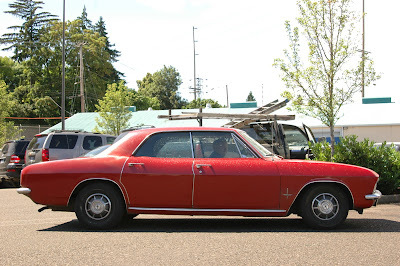 Beginning in 1968 they had the federally mandated side marker lights. Nice car though. I used to have a 1965 Monza convertible which gave me no end of troubles, but I loved it just the same. 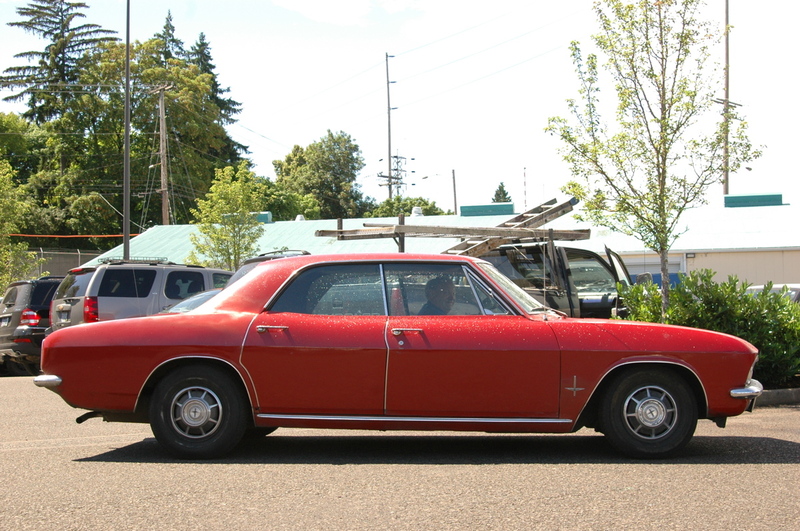 There were also no 4-door Corvairs in 1968 and 1969, so as K5ING stated, this has to be a 1965-1967 model.